There’s nothing tragic about being 50, unless you’re trying to be 25. 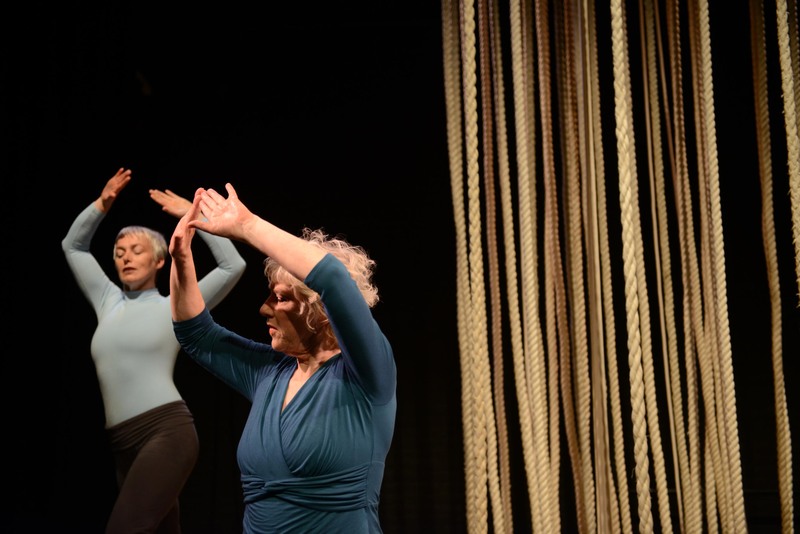 In this powerful and joyful mix of aerial, theatre and dance, Upswing celebrates the lives of two older women by making their dreams of flying come true. Inspired by the stories of two physical performers, What Happens in the Winter asks poignant questions about what happens when ageing starts to take away the skills and strength that are the tools of your trade. Originally developed in partnership with Entelechy Arts and ARC Stockton, this show is born out of Upswing’s committed programme of work with older people, and extended into workshops for over 55s. Continually walking the delicate line between humour and emotive reflection, What Happens in the Winter takes you on a journey through the minds and hearts of two incredibly powerful women.